Last week, a group of Upper School journalism students from ASLP went on an excursion to see how the radio works and ended up having the opportunity to talk live on the morning show, “El Mañanero”. 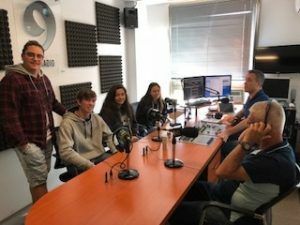 The students were able to speak live for a whole hour on Radio 9. 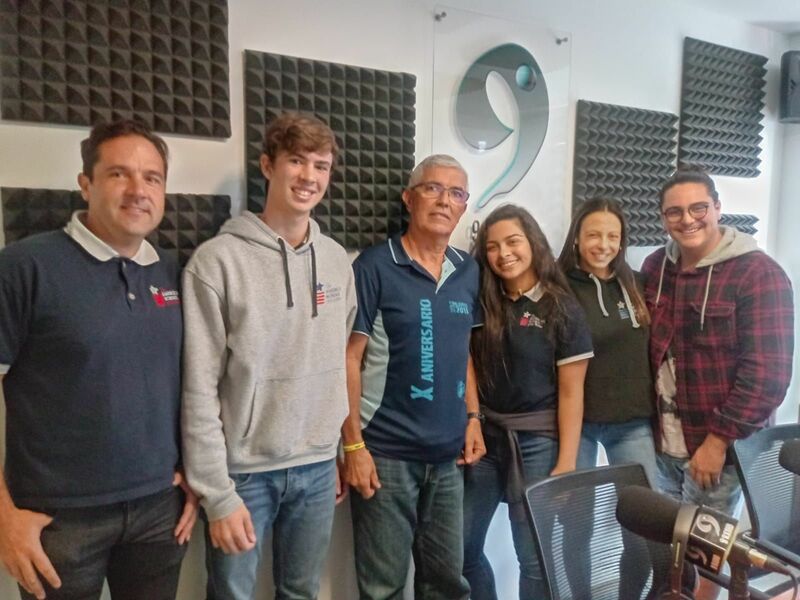 The objective was for the students to see how a radio station works and to get the chance to ask the radio presenters Victor Sarmiento and Juan Moreno different questions. It came as a complete surprise when we were ushered into the broadcasting room shortly after we arrived and we found ourselves in the middle of the talk show. In the show, each student was able to talk about ASLP, the subjects they study in school, their university plans in the future and the sports they practice. They also discussed some Eco-School topics like our project to save the Monarch butterflies. One of the presenters, Victor, asked our students questions right there on the spot about various topics, from the movie Bohemian Rhapsody to famous youtubers around the world. The students were able to answer well taking into account that this was their first time and that they had not had any preparation. Journalism is one of the many subjects that is offered at ASLP in 11th and 12th grade of Upper School. It is a practical class with lots of hands-on activities. Later in the school year, these students will be visiting one of the local newspapers and possibly, the television studios.